RALEIGH (WTVD) -- The Triangle is getting faster Internet services, but some homeowners are unhappy with the headaches that come along with this new technology. 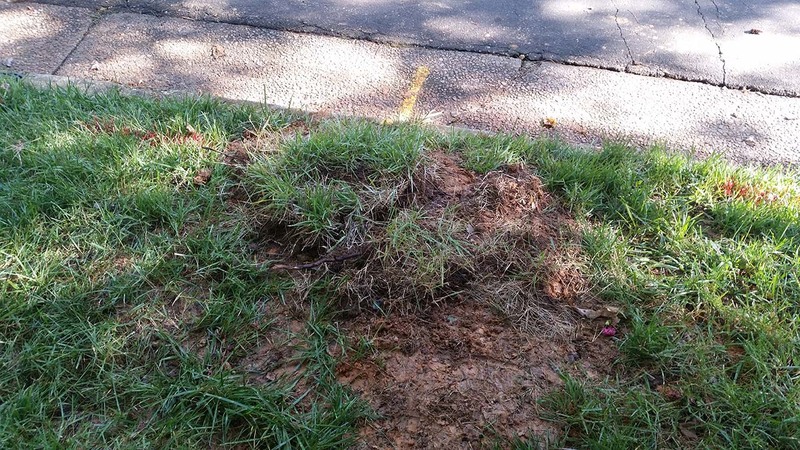 North Raleigh homeowner Dave Grupy lost power not just once, but twice since contractors for AT&T started laying down lines for their fiber optic services. But power wasn't the only problem. "Week later, came home from work and found a 5-foot trench dug up to the tree line and my irrigation was cut," Grupy said. Grupy says he complained about the damages to the supervisor of the crew. "'We'll fix it but it's no big deal.' I told them it was a big deal because he just ruined my yard, and I didn't give him permission to dig all the way up my yard," he said. Grupy's biggest concern is what happened once the work was done. "They just laid some sod on top of everything, kind of looked like a patchwork quilt. 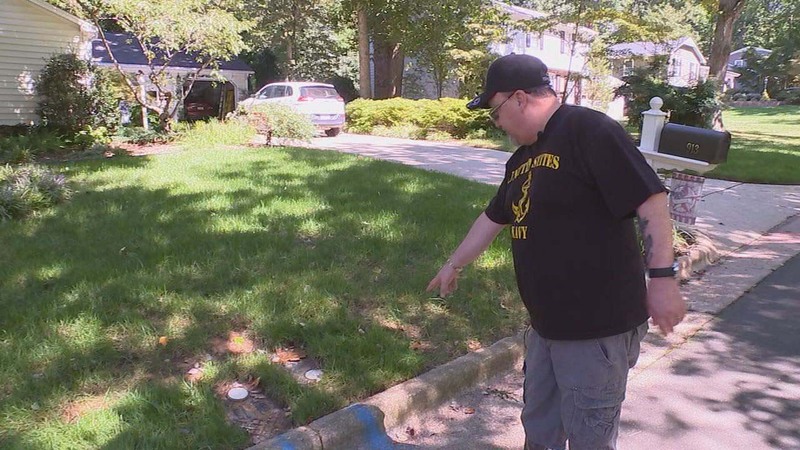 I had a nice looking yard, and I'm not getting any relief from them to re-sod the entire area," he said. Grupy got in touch with me, and I got in touch with AT&T. They had several representatives back out at Grupy's house to look at his yard. Grupy tells me after the meeting he was told they are going to re-sod the area of his yard that he says was not put back to the way it was before the fiber lines were laid. He also say they were going to have a landscaper look at his irrigation system to make sure it was fixed correctly. Grupy said once that happens, he will be satisfied. "We are working diligently to expand and enhance our local network to deliver high-speed Internet access. We expect our contractors to obtain proper permitting, closely follow local construction codes and work to minimize any disruption for residents. We are continuing to work with the customer, and apologize for any inconvenience. Meanwhile, AT&T proactively alerts residents with door hangers before we begin utility work. Residents can also get more information at att.com/gigapower." What are your rights when it comes to utility easements? You should first receive an informational door hanger in advance of the work. Then, different color markings will be sprayed on the ground several weeks before construction. The markings show the contractors where the existing underground utility lines are laid. Companies can place the fiber along the water, sewer and electrical lines, in most cases, the right of way includes the area from the curb towards your home for about 11 feet. If the crew has to venture further than the easement allows, companies should get permission from property owners before working on private property. After construction, your property should be restored to its original condition. If you're not happy with how crews put your yard back, your first step is getting in touch with the company responsible for the work. If you're still not satisfied, file formal complaints with NC Attorney General's Office or the NC Utilities Commission.